This apartment was clean and within walking distance to one of the beaches. It has a lovely pool. The apartment is comfortable for max 2 people. There is a market, restaurant and pub all within walking distance. Nice, practical, perfect size for a small family. Close to both restaurants, conveniences and a lot of beaches. Lovely hosts that were very helpful. Would like to return another year. We just returned from a fabulous weeks at Villa Fontane Bianche. The owner, Melina, was very helpful and obliging. The apartment was furnished to a very good standard, was spotlessly clean and extremely well equipment. Everything that you could have needed was there. It is a great location to base yourself for exploring this part of Sicily and there are some wonderful sandy beaches nearby and amenities such as restaurants and supermarkets are within easy reach. We would not hesitate to return. The property was above our expectations, clean, cozy, close to the beach, grocery and bakery shop close by. We will come back next year! Spacious well appointed flat. Lovely position with view of 'port de plaisance'. Easy access to excellent food and wine shops plus restaurants. Perhaps a larger tv in such a large sitting room? Our stay in Atrani, at Casa Torricella could not have been better. Everything was exactly as it was in the pictures except the views from the property were even more beautiful. Very spacious, clean, and comfortable. Roberto, who is the kindest, warmest person you will meet, made us feel very welcome and shared much of the history of Casa Torricella and Atrani. We packed very light for our vacation but what we didn't have was already in the apartment. 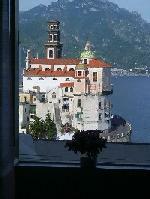 If you want to experience Atrani and the Amalfi coast the way it should be, then you have to stay here. Everyone in the village was very friendly and the food was incredible. When I return, this is where I will stay.